How Do Snow and Ice Affect Concrete? Concrete is almost everywhere in our lives. Concrete is almost everywhere in our lives. Roads are made of blacktop, and when snow and ice fall, these same roads become impassable. Whether you are doing road work, or are responsible for plowing and salting the roads, so they are safe for travel again, it’s worth it to know how snow and ice affect concrete. Snow and ice affect the physical composition of concrete. You might notice cracks forming in the concrete, no matter what surface it may be. When concrete starts to flake, bubble, or chipping away, these are damages known in the industry alternatively as spalling and scaling. However, when you lay down the material and then make sure you follow the correct procedures, you can prevent these problems on your next worksite. Don’t forget to apply the right sealant and finishing techniques to prevent water or moisture infiltration from when snow and ice start melting. 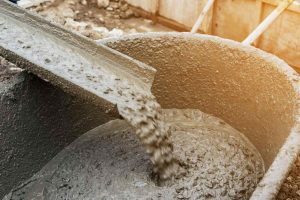 When you are responsible for putting concrete down for construction purposes, you’ll have to determine how long it should last. If it isn’t done right, the topmost layer of the asphalt might not be stable or even solid enough. It’s a common tactic to add water, but then that water affects the durability of the cement. Besides, snow and ice are different forms of water. So when you want to get rid of them, you should learn as much as you can about what deicers can do. No matter what type of deicer is in play, it affects the freezing point of ice. It keeps the ice from solidifying. Meanwhile, salts also work. The night before any major snowfall, salt trucks roll out to get the salt spread out and prevent massive freezing. Not only does freezing road conditions slow down the pace of traffic during the morning commute, but it also makes it dangerous to get anywhere when you try to drive over it, even if you are just trying to reach the active construction zone where you have been working for the past week. Given enough time, deicers can damage the asphalt, so keep that in mind. This entry was posted on Thursday, March 22nd, 2018	at 10:34 am	. Both comments and pings are currently closed.